Photography, by definition, is the process of capturing images with light. It does not matter if you're using film or digital media; the concept is the same. Light is what makes a photograph work and a proper exposure is required to make a good photograph. A properly exposed photograph is one that is neither too light nor too dark. A good exposure will include highlights and shadows and a varying degree of contrast in between. It doesn't matter if the photo is in color or black and white. If a photo is too dark, it is underexposed. Details will be lost in the shadows and the darkest areas of the image. If a photo is too light, it is overexposed. Details will be lost in the highlights and the brightest parts of the image. A photographer knows if the image is a proper exposure by using a light meter. Pro Tip: It is always best to correct an under- or over-exposed photograph in the camera. Even with digital photography, the best software available will not be able to pull out details in the shadows and highlights if those details were not recorded in the first place. Underexposure in photography refers to an image where too little light was recorded. The degree of underexposure will determine how dark a photo is. A slight underexposure can lead to a deepening of the color saturation and this may be a nice effect. For instance, the colors of a sunset can become more dramatic if you stop down from f/8 to f/11. A more pronounced underexposure makes an image too dark for the subjects to be seen clearly. This often happens at night; just think of a street scene in which everything is dimly lit. With a bad exposure, you may not be able to see a separation between a person and the wall they're standing against. Add more light to the scene. Do so by using a flash or another lighting source such as a reflector. Change your f/stop. Open up one stop (or more if needed) to capture more light. For instance, change the exposure from f/8 to f/5.6 and keep the same shutter speed. Slow down your shutter speed. If your subject is not moving and you have a tripod, don't be afraid of slow ​shutter speeds. Switching from 1/60 of a second to 1/30 and using the same f/stop can make a significant impact. Exactly the opposite of underexposure, you have overexposed a photograph when too much light is recorded. You will notice this in the highlights where no details are captured; they become what photographers call "blown out." Overexposure can be used to your advantage when photographing dark scenes and objects. By slightly overexposing (no more than one full stop), you can bring out details in, for instance, a dark brick wall. If you overexpose by too much, you will lose details in your highlights and your shadows will have a "muddy" or blah-looking contrast. For example, an overexposed photo of a person wearing a black shirt will make their skin too pasty and white rather than tan. The shirt will become an unnatural gray with little to no contrast. Take light away from the scene. Move to the shade or use a reflector or cloth to block harsh direct light. Change your f/stop. In this case, you will stop down and that means moving your meter reading to f/8 instead of f/11 while retaining the same shutter speed. Increase your shutter speed. Keep the same f/stop but change the shutter speed. For instance, go from 1/60 to 1/125 to allow less light to hit the film plane or digital sensor. Many modern cameras have a built-in control that lets you quickly over- and under-expose a photo. This often looks like a scale with a "0" in the middle and increments stretching from "+1, +2" on the right and "-1, -2" on the left. Often, there will be additional increments of 1/3 or 1/2 stops in between each number. Familiarize yourself with using this scale on your camera and take a series of photographs to see how they affect your exposure. Using the scale is called "bracketing" or "exposure compensation" and it is an easy way to ensure you get the proper exposure on your photos. When you notice that a digital capture is too dark or too light, utilize the scale to under- or overexpose the next frame you shoot. The camera will automatically adjust either the shutter speed or the aperture to compensate for your new exposure. Pro Tip: When using the bracketing function, pay attention to your shutter speed, particularly if you are hand-holding the camera. 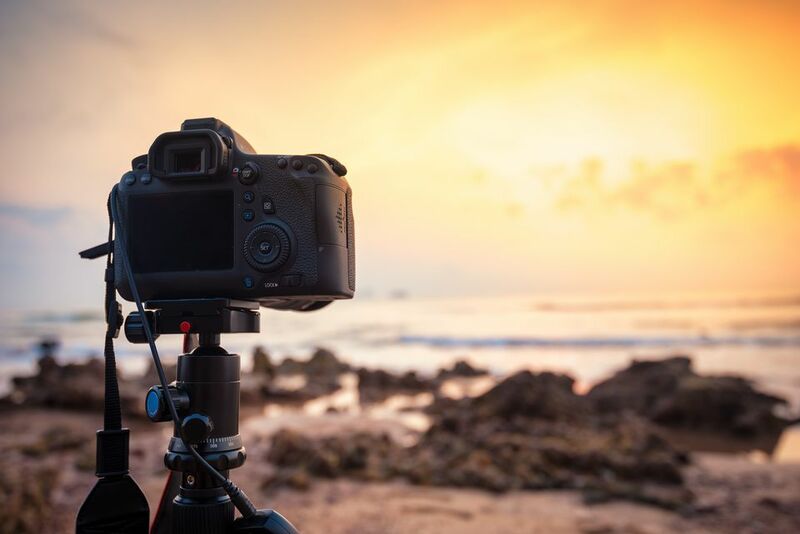 Remember that 1/60 of a second is the slowest shutter speed you should use without the aid of a tripod or your photos will be blurry from camera shake.